Have you ever wanted to switch to Linux but were put off by the command line? Or have you thought of learning about the command line and want to know what is so mysterious about it? While using the command line is not a necessity in using Linux, it can be extremely useful to have knowledge of the command line. 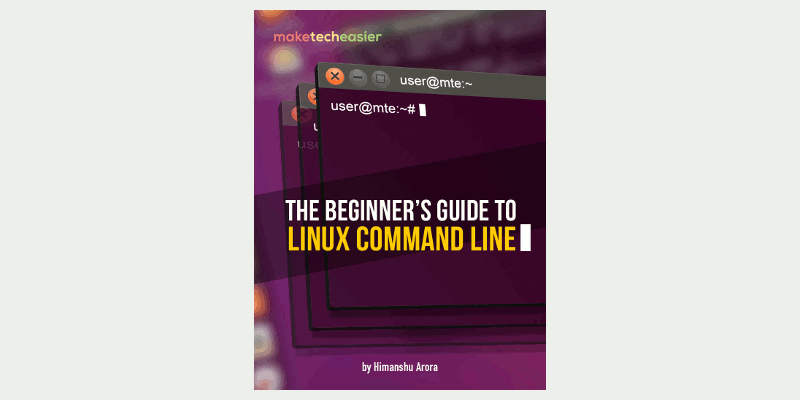 In The Beginner’s Guide to Linux Command Line ebook, our expert author Himanshu shows you all the things you need to know to get started with the Linux command line. Things we cover in this ebook include the various types of command line shells, activating the terminal and understanding its interface, environment variables, configuration files, basic commands to view directories, cut, copy, paste, search and other operations, where to get help, etc. At the end of this ebook you will have a good basic knowledge of the command line. This ebook is suitable for beginners and requires no prior knowledge of Linux and the command line.